We went to Worldcon in Spokane (Sasquan) with high expectations. The panels were great as usual. Connie Willis was funny and entertaining. Toni Weiskopt was, as always, a class act. It was great to get introduced to Ramez Naam in person. He is both entertaining and quite knowledgeable about topics that should concern us all. I felt quite “wired” just meeting him. It was great to see Joe Haldeman, Greg Bear, and Brenda Cooper again, as well as Brandon Sanderson, the only person who never needs a microphone in a large room. David Brin was missed. But a Biblical cloud of fire and brimstone hung over the conference. Some said it had to do with voting irregularities over the Hugos. 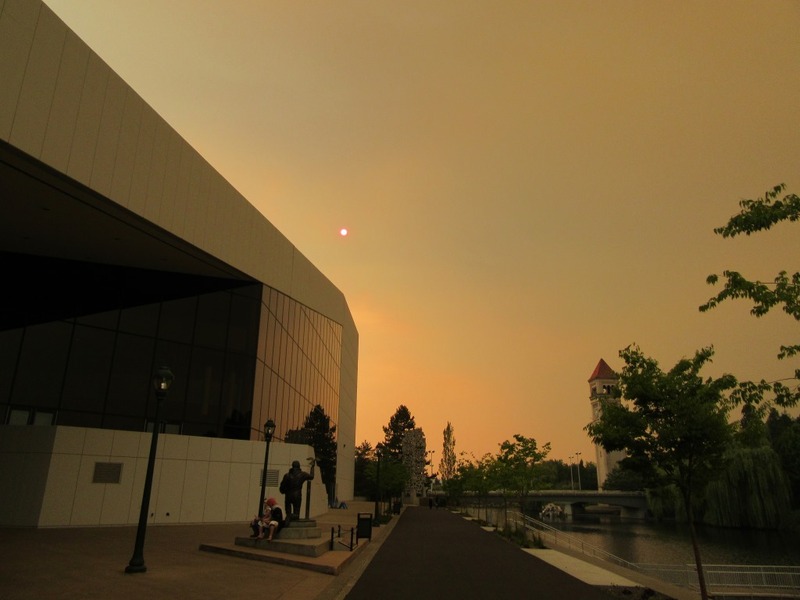 In any case, we didn’t let two days of Red Alert (on account of winds bringing in forest fire smoke) keep us from enjoying the conference. This entry was posted in Uncategorized by flwq1578. Bookmark the permalink.